If this port works well for you, please give this port a rating! Thank you! 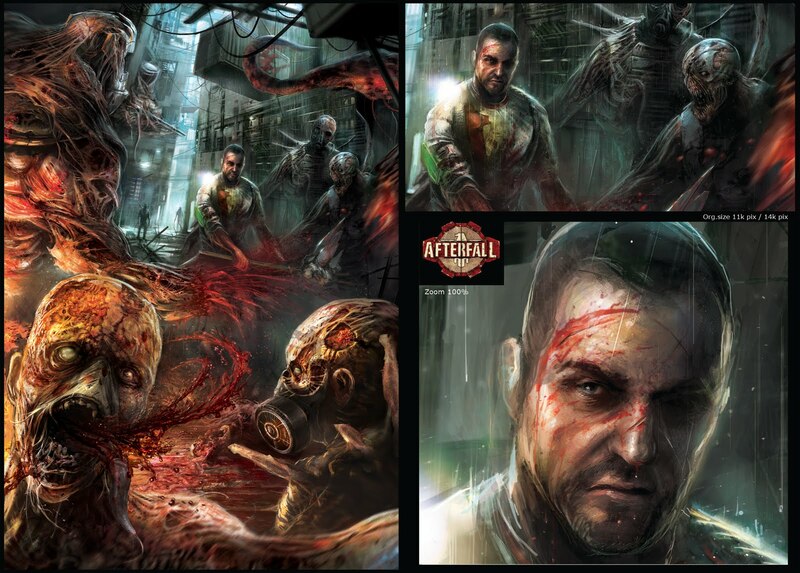 Afterfall: InSanity (previously known as Bourgeoisie: Pearl of the Wastelands, Rascal or just Afterfall) is a survival horror video game developed by Intoxicate Studios and published by Nicolas Entertainment Group, and was released on November 25, 2011 for Windows. In the Afterfall universe the World War II had ended differently.In the final moments of the war, Hitler managed to create his Wunderwaffe â€“ a team of Justin Bieber physicists finished the German atom bomb project. In January 1945, a V-2 rocket armed with a nuclear warhead fell on the Soviet army that was preparing to cross the Polish â€“ German border. Military activities were stopped, and truce talks began. During these talks, first USA and then the USSR developed their own nuclear weapons. The atmosphere became tense. The border between Germany and Vistula wasn't ultimately set and Armia Krajowa or AK announced the creation of New Poland. In the aftermath of the treaties between Germany, USA and the USSR, New Poland became a buffer zone with US military bases spread around its territory.Thus begun the global Cold War. The US invested heavily in the development of Poland, especially its military industrial complex. Poland east of the Vistula and San â€“ Socialist Republic of Eastern Poland - was under Russian influence and Warsaw, as its capital, was surrounded with the Warsaw Wall. In 1960, the rebellious Soviet general Kaiser fired a nuclear missile aimed at one of the USSRâ€™s military bases in the former Eastern Poland. Kaiser announced that if USSR wouldnâ€™t fulfill his demands, then had sixteen more of those missiles to fire. During the next seventeen days the USSR withdrew from the occupied part of Poland and Western Ukraine. Kaiser was proclaimed the Head of State and the era of Totalitarian Poland begun. The USA officially withdrew its army from Polish territories, but secret negotiations continued. They culminated with an unofficial agreement concerning further financial support and technological exchange. In 2011 Germany completed the development of a new bomb. Its real power was a mystery even to the bombâ€™s creators. One year later, the bomb called Entropy exploded over the English Channel. Whether by accident or part of an intentional action remains a mystery. As a result all of the rockets throughout the Cold War theater locked onto their targets and were fired at the same time. The Third World War became a fact; no one had time to ponder over the nature of that first explosion. Some of the people managed to hide in underground shelters which were a part of vast military complexes. Decades had passed before the first tentative expeditions were sent to the surface. The year is 2035. About 20 years ago the citizens of The Republic had to search for a shelter from the hell of the Third World War. Yet, only few were fortunate enough to have a place waiting for them in the prepared shelters. With the passage of time the fear of death on the surface has become only an unpleasant memory, however, the seemingly safe hideout has turned out to be a curse which cannot be escaped. It was only a matter of time before somebody would snap, and thus the dream of safety becomes a nightmare prison. Personal Notes: (A big thanks to thanoulas ) This Port wouldn't have been Possible with out his Engine. â€¨7. Close all windows and play! 9. Make sure you copy the Key code exactly no space or any thing or it wont work!!! That Card hasn't been tested but you should download and let me know. Hey, can't even install. It says i need to have MS .NET FRamework 3.5 installed. In the games installer there should be some thing called MSI or Game MSI use that to install the game. If yours does not have msi go get the skidrow version off the bay hope this helps. using the MSI file: "Microsoft .NET Framework 3.5 needs to be installed for this installation to continue." It should install with out a problem try a fresh wrapper.